The news is a week old but is still worthy of mention. 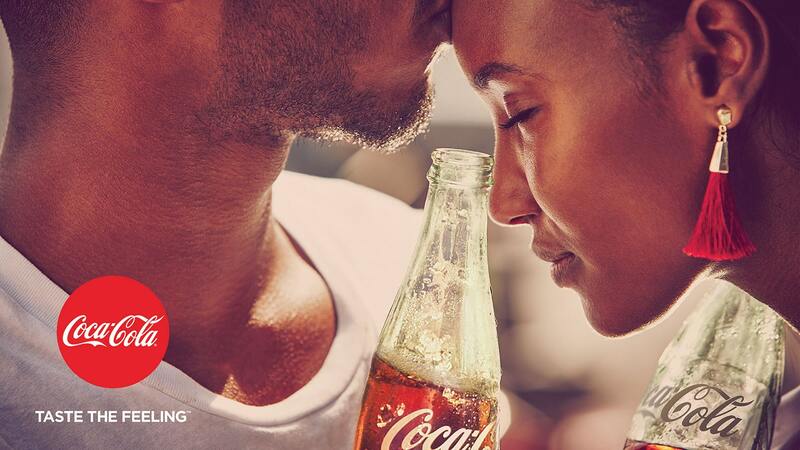 Coca-Cola, after 7 years of “Open Happiness” has changed its slogan to “Taste The Feeling” through a massive new worldwide campaign developed, through advertising and prints, by illustrious names such as Ogilvy & Mather, Mercado-McCann e Wieden + Kennedy. Take a look and then we can talk it over. 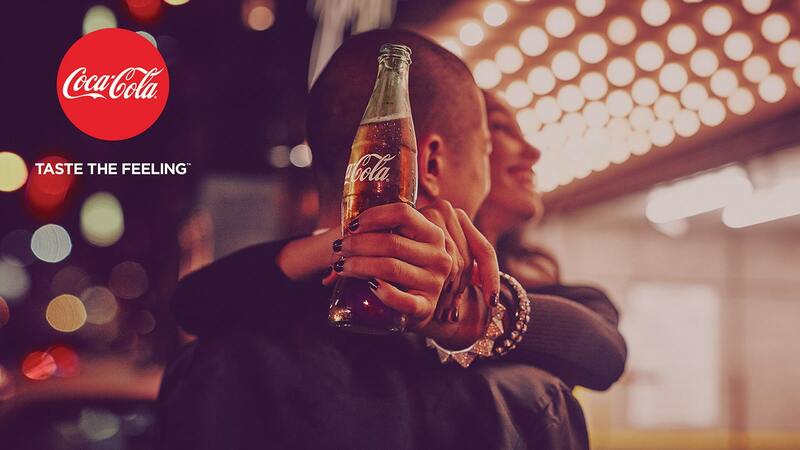 According to Marco De Quinto, Coca-Cola’s Marketing Director, the new campaign represents a complete revolution in terms of communication. “It combines the functional and the emotional by telling universal stories with the product at the center of them “, says De Quinto who has taken note of an extremely important aspect: the more he tried to place Coca-Cola as an icon the smaller the brand became. Always according to De Quinto, Coca-Cola’s greatness resides in it being a simple pleasure within everyone’s reach. His indications were clear: let’s return to being humble and we’ll return to being great. It’s interesting to see how a brand that has reached the height of popularity, breaking through cultural and immaginific barriers that by great lengths surpass the purely commercial field of action, finds itself having to take a step backwards and return to that need for sincerity that distinguishes the good things in life. It’s as if the process of deifying a brand could never be completed and must stop one step short the Olympus. It seems as if the directors said to themselves “Beyond this there’s Jesus Christ”. At a creative level the choice fell on what, as Ad Week wisely put it, “a mix between Norman Rockwell and Instagram “. 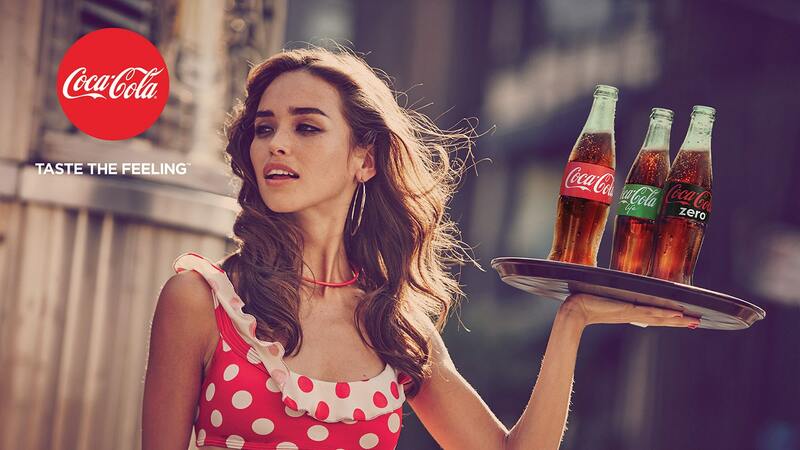 Filters warmed by the seasoning of life and the product in full view are the frame to the new claim “Taste The Feeling” which in fact, brings Coca-Cola back onto planet earth. The taste and the flavour return to the foreground replacing the abstracting process of the past seven years. Coca-Cola returns to being something you drink. Even though the campaign may have appeared to De Quinto as something of a Eureka! many branding experts worldwide immediately pulled a face. According to Geoff Cook of Base Design, Coca-Cola finds itself in a unique position: “The brand is worshipped”, says Cook, “but at the same time falls victim to a constant discrediting campaign. Marketing strategies can hide large structural gaps but fundamentally the world is shifting towards a more health-oriented consumption”. According to Cook until the company decides to change the product and change the perception that consumers have of it, any new initiative will sound empty and definitely false. It is by all means a crude and rather radical analysis but it is not entirely false. Drinks such as Red Bull have managed to achieve a sporty and healthy image of the product without changing the chemical composition, and have gained huge benefits from this. Carrying Coca-Cola from the sumptuous Sunday lunch table to the triple somersault diving championships will not be an easy affair, but surely raises a question that is presently knocking on the doors of many food corporations, particularly those that clog arteries.